From a shift in working life from the past to today, there is now a huge element in getting our tasks done in any free time we have in the day to free up some (or very little) time in the evening…maybe to catch up on your favourite programme or spend time with your children. So what does a typical English lunchtime look and sound like, well different to other countries, us brits sure do take a shorter lunch time with 73% of us taking less than 30 minutes each day, this compared to France where 77% take more than 30 minutes for their lunch. 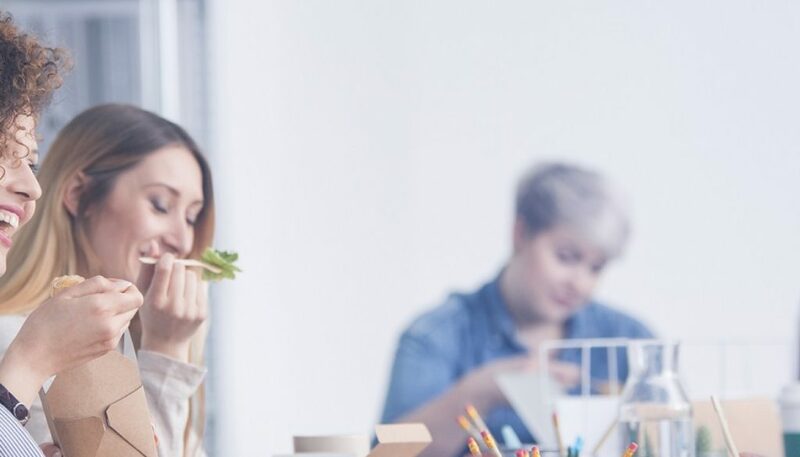 I know I am guilty of eating a salad at my desk and not taking the time out, however due to culture, most countries see lunch as a main meal and therefore have more than 30 minutes, countries such as France, Mexico, Italy and Japan to name a few. The shift in dieting has also had an impact on food purchased, 29% of people use a fitness app whether this counts calories, monitors fitness or is a health newsletter, this shows that now, more than ever, people have a huge interest in their health and wellbeing. In a survey, the ideal British plate consists of pasta, salad, vegetables, fish, fruit and sweet desserts. Surprisingly quite healthy! If you’re looking for great people and great food to manage your workplace canteen, Totally Delicious are the answer with experience in manufacturing, contact centre and visitor attraction dining, visit our website for more information. *statistics from Edenred Ideal Meal survey on the eating habits of 2,500 employees in 14 countries.